From time to time, we all have questions, concerns, or just suggestions, it is just normal. Should you ever wish to discuss anything, please contact us easily by submitting your information online below. All requests are promptly addressed in the order in which they were received. 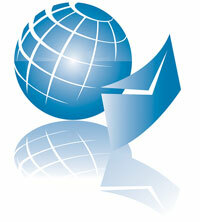 Also, we periodically send out group e-mails to our customers concerning current order questions or status updates. If this goes into your Bulk E-Mail or Spam Folder, it won't do you, or us, any good at all. Do not be concerned that your e-mail address will be used for "SPAM". We hate "SPAM" as much as you do! Please set your e-mail account to accept e-mail from support@addicted2tungsten.com. In closing, we look forward in helping you with any and all of your tungsten fishing product and terminal tackle needs.